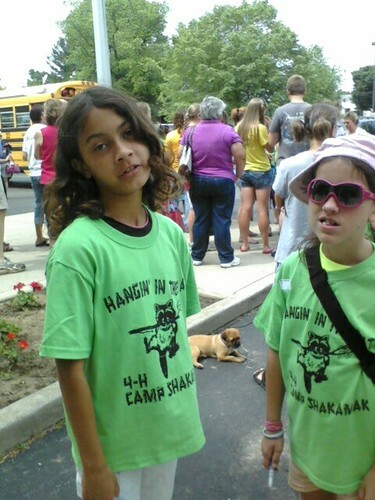 JEM, MCD, and DCD were off to 4h Camp Shakamak. 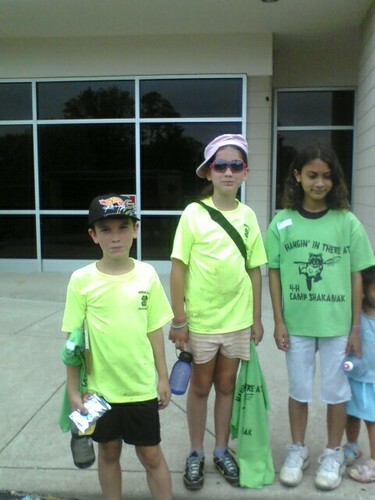 This is there first time to 4h camp and JEM’s first time to any camp. I have never been away from her for more than a day and I was freaking out. Nervous that I didn’t send her with everything she needed. They left today (Saturday) and come back Tuesday. 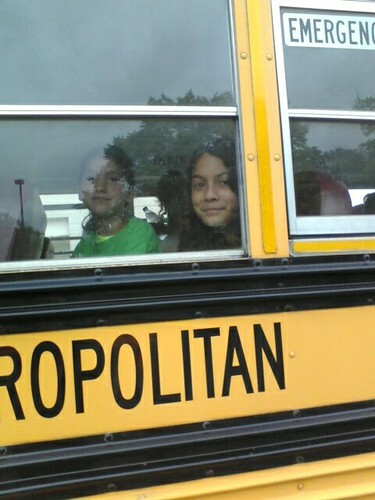 I know they will have lots of fun and will be a great experience for them. 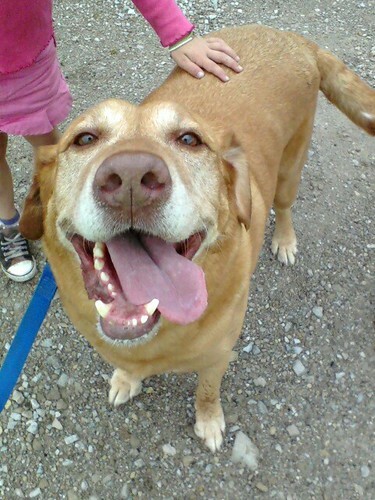 But I can’t wait for my JEM to get back. 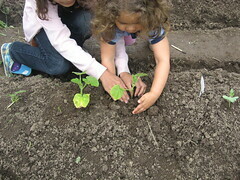 We thought gardening with kids was going to be stressful, but it turned out to be a fun experience for all of us. 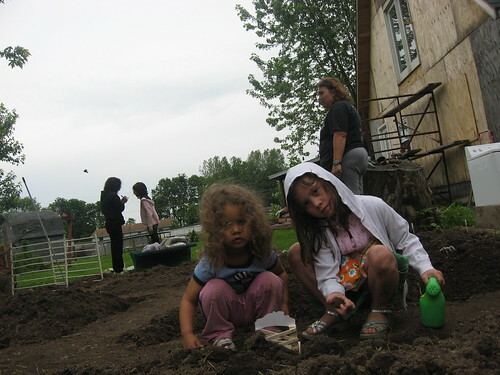 We were at our 4H club Kids With A Mission’s community garden plot and discovered the use of square beds, as we were walking by the other plots. This idea turned out great. 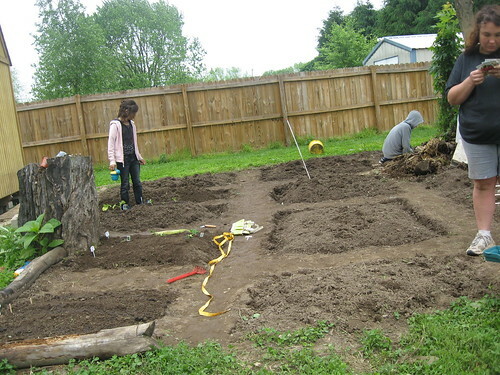 We made square mini plots with paths big enough to walk and squat down in between the beds. 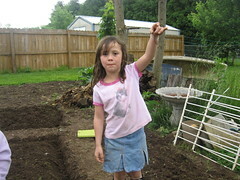 As we were digging, Cathy’s Dad comes out to chat, the first thing he say’s “Who died? Looks like a cemetery.” We stepped back to look and started laughing. 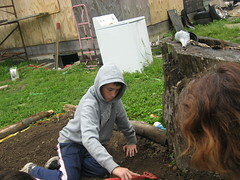 It really did look like little graves the way we shaped them and since we had just dug out the sides. After we started spreading the soil around they looked alright. We had about 10 beds for fruits and vegetables. On the corners we put flowers. In the walk ways we plan to put newspaper and mulch for weed control and so the kids know where to walk. 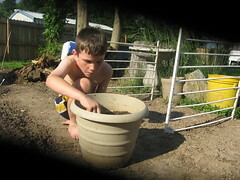 Above is JEM and MJ transplanting MJ’s pumpkins. 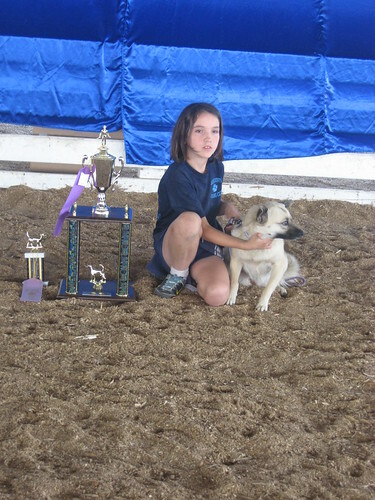 She did a great job taking care of them. SB loves to find worms. 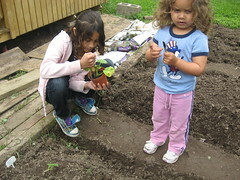 We have such a busy schedule, we were gardening before soccer practice and had to leave quickly. 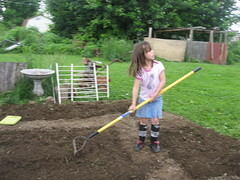 Cleats were good for air raiding the garden I hope. And Shin guards were good for kneeling, her shins were well protected.